Let Tim bring your party to life with his fun, personable persona and talent.playing top 40 country,classic country,southern rock and much, much more.Tim has something for everyone. From playing festivals to backyard barbecues and all points in between; you and your guests will love this guy, I promise. If you spend any time around Nashville or the surrounding areas you are sure to hear a lot of music, by a lot of talented musicians and artists, but when you run across talent like Tim Daley you will know you have found something real. Using only his dynamic vocals, guitar and trademark; stomp box Tim Daley captivates his audience. Whether he is with his band or playing acoustic by himself. When you hear Tim, you will hear the years of hard work he has put into crafting his unique sound. 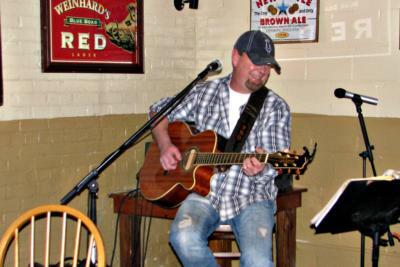 Tim can cover songs from many different genres, from country, to rock, folk, blues, and a lot of great music in-between. He makes every song he plays his own with his own style. However, he really shines when playing his own material. People who hear his originals are usually singing along the next time they see him. It is remarkable that an independent artist like Tim can continue to grow a fan base across the country and how once heard, his songs stick with so many people. Tim plays several shows a week in the downtown area of Nashville, (Broadway and 2nd Ave.). 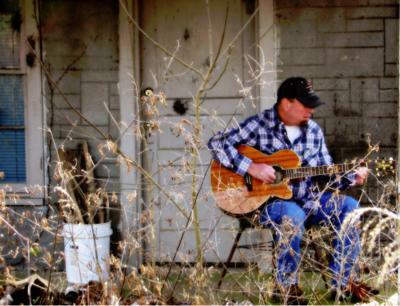 He also plays several venues in surrounding areas of Nashville. Check his calendar page to find him when you are going to be in town. Please note Tim Daley will also travel to Madison, Lebanon, Mount Juliet, La Vergne, Hendersonville, Hermitage, Ridgetop, Smyrna, Antioch, Gladeville, Old Hickory, Lascassas, Arrington, Murfreesboro, Nolensville, Brentwood, Norene, Watertown, Gallatin, Goodlettsville, Milton, Auburntown, Castalian Springs, Franklin, Mitchellville, Whites Creek, Christiana, Alexandria, Readyville, Rockvale.